We’ve all played this game—I’m just not sure it’s ever been *this* funny. 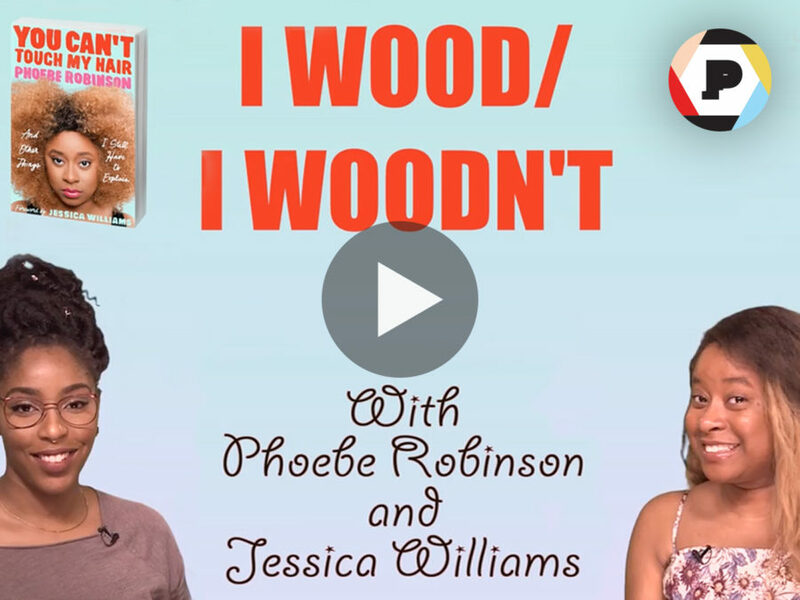 Watch as Phoebe Robinson and Jessica Williams (of the podcast 2 Dope Queens) play “I Wood/I Woodn’t,” where they choose a celebrity and decide whether or not they’d smash ’em. You can play along too. Then, if you’re in for more laughs, pick up Phoebe’s hysterical book of essays You Can’t Touch My Hair. Tell us in the comments which celebrities you wood and you woodn’t smash!